Only a few upgrades are needed for one of the best subcompact crossovers on the market. 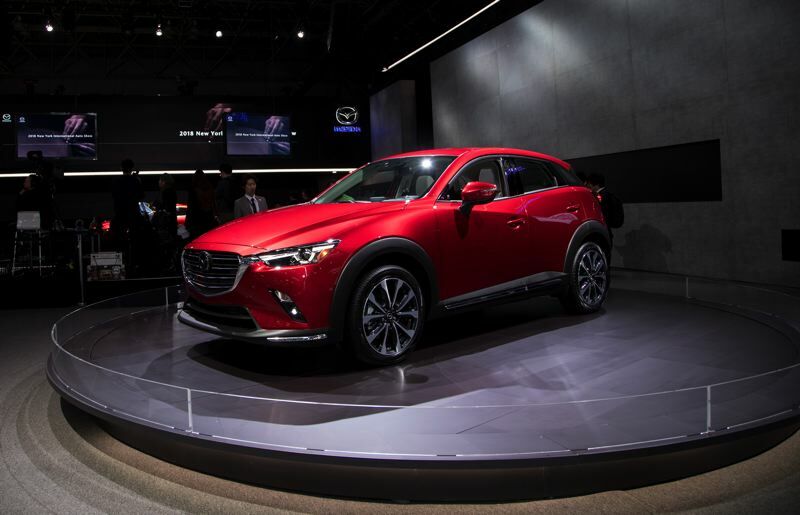 The slightly-redesigned 2019 Mazda CX-3 raises the question, is bigger always better? In today's automotive world, where manufacturers offer so many different makes and models, the answer is not always immediately clear. Since its introduction, the sharply styled Mazda CX-3 has been widely proclaimed as one of the best of the affordable subcompact crossovers. That consensus has generally held among car writers, even though the field has gotten more crowded with new competitors, including the Nissan Rogue Sport and the more off-road capable Jeep Renegade. In a week of test driving, we found the Mazda CX-3 to be comfortable, fun to drive and well built. Although the normally aspirated 2.0-liter engine was a little noisy when cold and under hard accelaration, its 148 horsepower (up 2 this year) delivered both peppy performance and good fuel economy. Aside from the slight increase in power, changes for 2019 include redesigned tail lights, new trim pieces along the front airdam and lower body, wider front seats, an electronic brake replacing the hand brake, and generally nicer interior materials. So what's not to like? Well, like all subcompact crossovers, the escalating cost of the trim levels create a quandry for potential buyers. The base Sport model starts at $20,390 for the front-wheel-drive version and $21,790 for all-wheel-drive, which we recommend for the rainy Pacific Northwest. 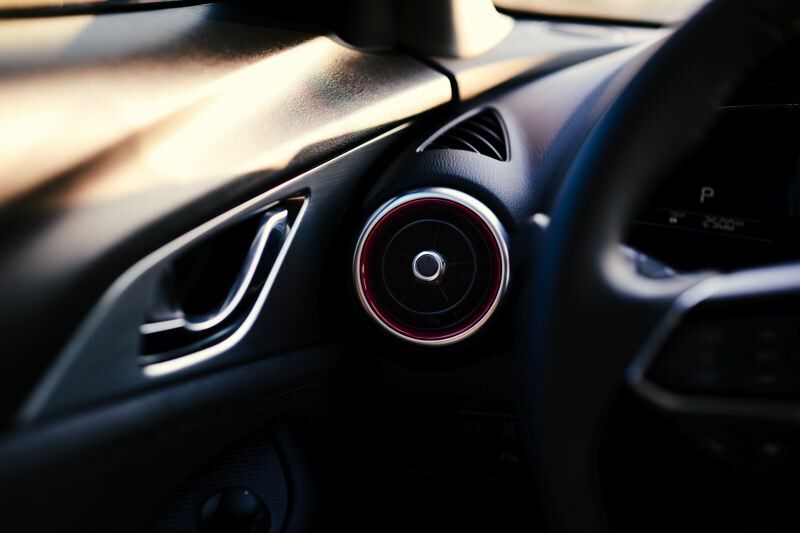 Those are both reasonable prices, but they lack some of the comfort, infotainment and safety features that owners have come to expect these days. They are available on the higher trim levels, but at a price. The top-of-the-line Grand Touring versions starts at $25,745 with FWD and $27,145 with AWD. Our Grand Touring AWD version included a Premium Package with six-way adjustable power seats and other desirable options that pushed the price to $29,625. But even the lowest priced Grand Touring version is about the same as the entry level model of the next largest Mazda crossover, the 2018 CX-5, and it is considerable bigger. 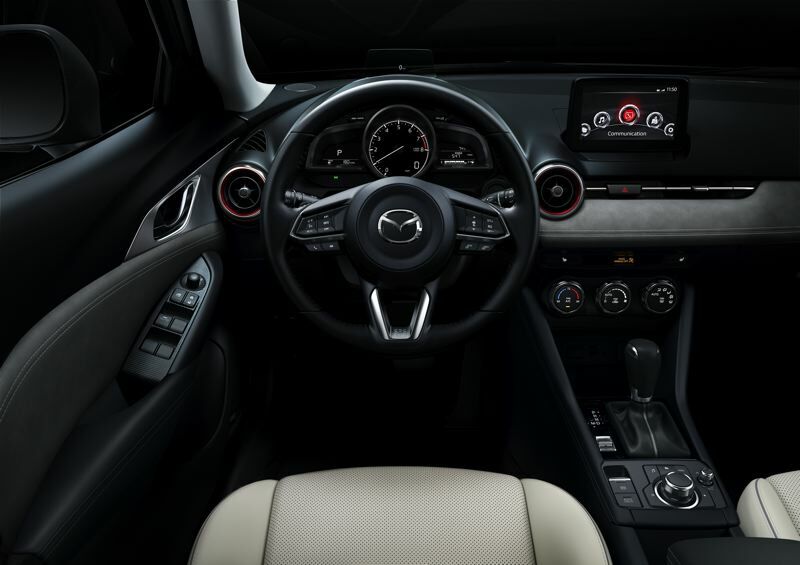 Even though the Sport version does not have all the features of the fully-loaded 2019 CX-3, the additional size of the CX-5 gives it an even more comfortable ride, more rear seat room, and more cargo space. Although prices for the 2019 Mazda CX-5 have yet to be announced, they are not likely to increase much. And even though a comparably equipped CX-5 costs more than a CX-3, if you're financing it over five or more years, the monthly payments might not be all that much higher. And the same is true for the other affordable subcompact crossovers. The high end models cost as much or more as the basic compacts offered by their manufacturers, prompting some soul search for buyers who do side-by-side comparisions. This is especially true when the models look so much alike, like the CX-3 and CX-5, or the new Nissan Rogue Sport and the existing Nissan Rogue. At least with Jeep, the "Barbie" styling of the Renegade forces a hard choice between it and the more conventional compact Compass. Of course, in addition to "more equipment for the price," subcompact crossovers offer other benefits, including better fuel economy, crisper handling and greater maneuverability in heavy traffic. Then again, such benefits are relative. Most compact crossovers get pretty good mileage, handle well, and are maneuverable enough. They're not midsize or full-size SUVs, after all. So the bottom line is, the old rule of car shopping applies more than ever before — take test drives. With manufacturers slicing the pie ever thinner (Jeep now offers four subcompact to midsize models, not counting the traditional Wrangler), take the time to drive different sizes, just to be sure. The 2019 CX-3 is a very good subcompact. 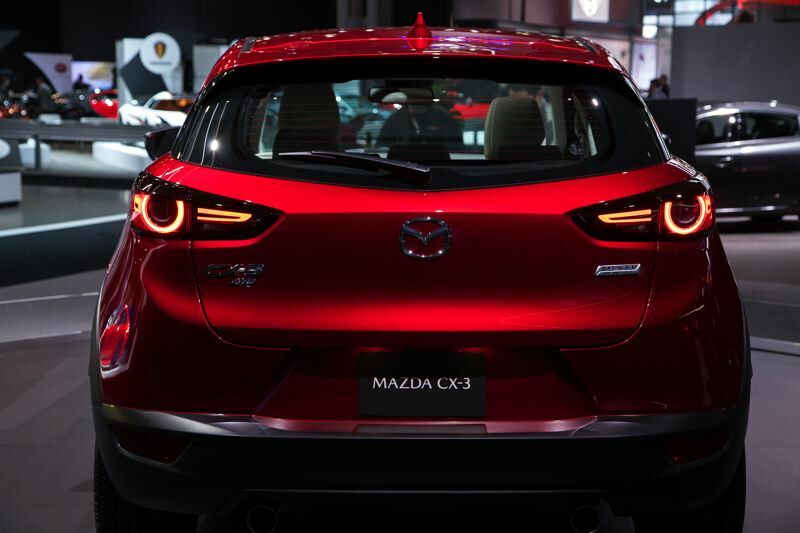 But Mazda isn't going to be disappointed if you decide the CX-5 fits your needs better.